In order to extend the range of smartphones, HTC announced this month the launch of a new model, HTC Desire U! The new handset is more affordable and comes with a nice design with rounded edges and textured circles around the back camera. 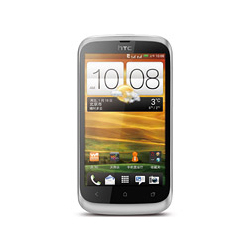 The look of this new phone, reminds us the HTC Desire x :) Not only its appearance, also the specifications are roughly the same. Have a look bellow over the specs of Desire U and let us know what do you think about.